It was bedtime in late September when SWG member Chanthasone Phommachanh (better known as Olay) turned from his notebook to see what was rustling near his jungle hammock. It had been a long day deep in the forests of Khoun Xe Nong Ma, a provincial-level protected area in Laos against the border of Vietnam where Phommachanh and an expedition team were collecting information about the area–species observed, signs of poaching, and data on the habitat. 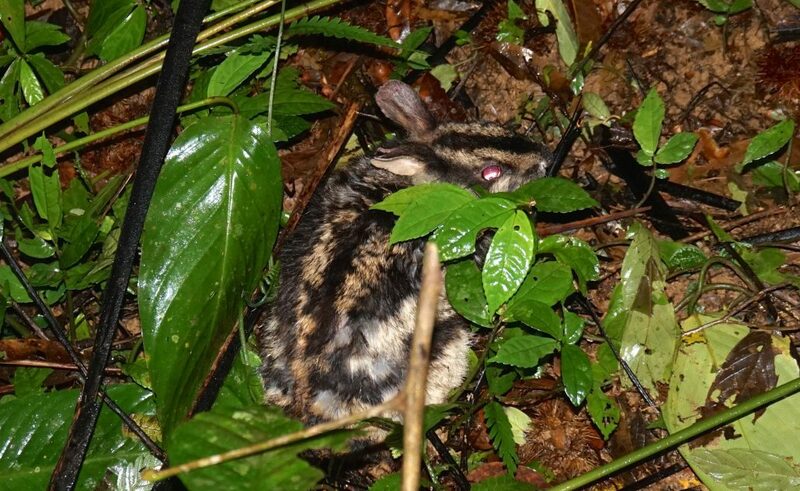 This encounter gives Phommachanh the distinction of being among the only biologists to ever see an Annamite Striped Rabbit in the wild. But the moment also underscores the unexpected findings of an expedition that, over the course of about a month, revealed a relatively healthy community of biodiversity and a surprisingly intact core of habitat. 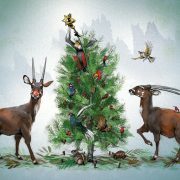 And if an animal as elusive and rare as the Annamite Striped Rabbit can be found here, then maybe, just maybe, the Saola can, too. SWG member Rob Timmins is no stranger to the rapid and pervasive waves of poaching devastating populations of wildlife across the Annamite Mountains. He has been doing these kinds of expeditions in the area for more than 20 years, and as the years have gone by, he has learned to expect surveys to reveal fewer animals and more snares. Phommachanh and Timmins’ expedition to Khoun Xe Nong Ma, however, surprised them, defying their generally lowered expectations. Timmins says he’s been lucky to see primates once a week on past expeditions to other habitat in the Annamites, but reports seeing primates daily on this trip. Timmins also says the team came across signs of ungulates more frequently than on expeditions anywhere else in recent years. And in addition to the Annamite Striped Rabbit—an Annamites endemic discovered by none other than Rob Timmins shortly after the discovery of the Saola—Phommachanh reports seeing muntjacs, serows, Sambar Deer, gibbons and doucs, and hearing the rare Crested Argus call. The team was also surprised to find very little evidence of hunting, especially snaring, in the forests. 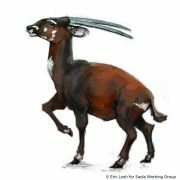 They determined that an area of core habitat about 200 square kilometers in size hasn’t yet experienced the kind of industrial-level snaring that is pushing Annamites endemics–rare, near-mythical species–to the brink of extinction, including the Saola. Timmins calls this discovery in today’s age of poaching unprecedented. 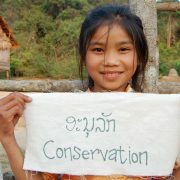 While still in the field, Phommachanh and Timmins sent message by satellite out to the Lao government and its partner, Integrated Conservation of Biodiversity and Forests (ICBF), and the Saola Working Group to alert them of the snares the team did find. 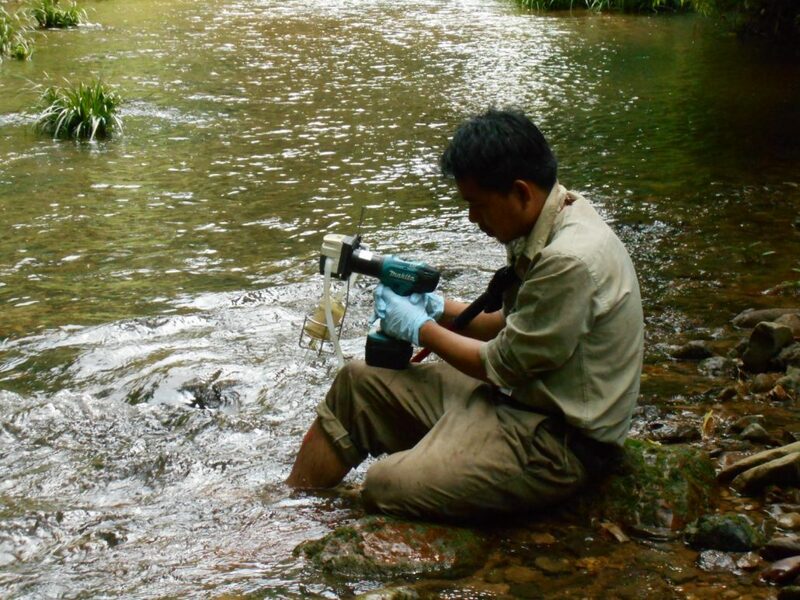 ICBF had already sent a team to clear snares from a nearby area where Phommachanh had done a preliminary survey in July, and is in the process now of carrying out a snare-removal mission based on the most recent survey. 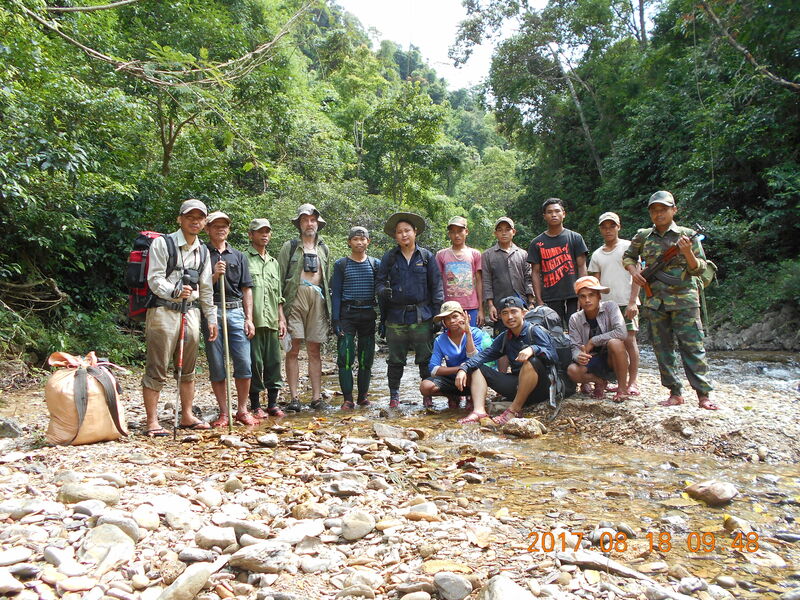 In the next step, ICBF, which helped to fund the Khoun Xe Nong Ma expedition, will be adding patrolling stations and developing and organizing permanent patrol teams for the forest with the aim of preventing future threats. 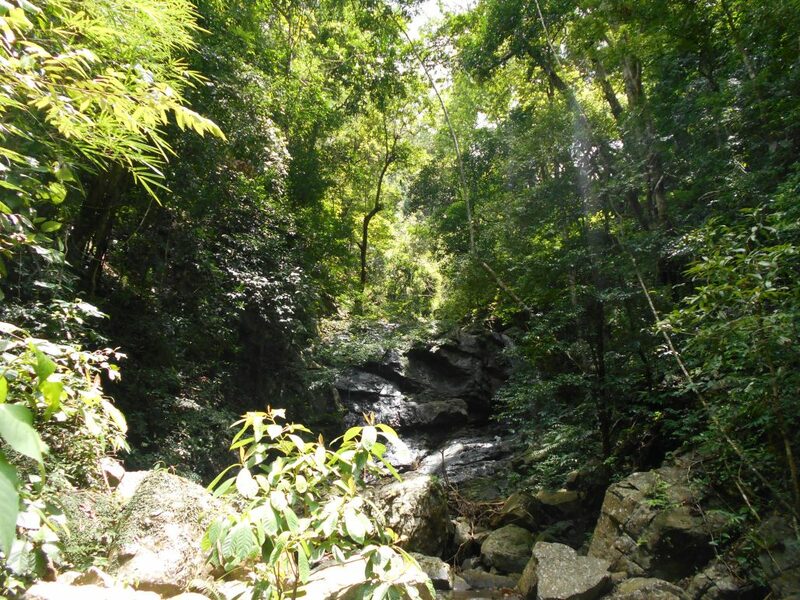 And the government plans to upgrade Khoun Xe Nong Ma from a provincial-level protected area to a national-level protected area sometime in the next year. In the meantime, Phommachanh and Timmins are eagerly awaiting the retrieval of photos from the more than 100 camera traps they set throughout the area. Phommachanh will be collecting data from the cameras’ SD cards in mid-November, and, as part of the urgent next phase of the survey, adding another 150 camera throughout the 200 square kilometers of relatively pristine habitat. They expect photos of Large-antlered Muntjacs, Owston’s Civets, Hog Badgers, Large Indian Civets, Crested Argus, macaques and maybe even the rare Edwards’s Pheasant. For Phommachanh, this expedition meant hope. Help support this crowdsourcing campaign to raise $41,000 for new cameras by Dec. 16 in the next vital step of this survey. Thanks to SWG supporter Kristine Karnos for making the campaign happen.